Paul has more than 30 years of experience in global business. He was formerly CEO of Aurecon, one of the world’s leading engineering, project delivery, advisory and technical services companies, employing around 7500 people across Africa, Asia Pacific, the Middle East, and the Americas with offices in 28 countries and projects in 50. He was recognised by Engineers Australia as one of the 100 most influential engineers in Australia. 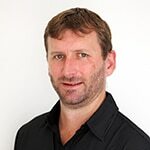 Prior to joining Aurecon from 1994 to 1999 he directed the development of an international business working in Vietnam, Malaysia, Brunei, the Philippines, China, India, Indonesia, Cambodia and the Pacific Rim. In May 1999 he joined Aurecon (then Connell Wagner) as an executive before becoming Group Executive Chairman in July 2007 and then CEO of Aurecon in 2009. Malcolm has over a decade of experience in middle and senior management roles with an international sales and marketing company and more than twenty years’ experience in public accounting practice, with 17 as a Principal. He brings to Surf Lakes a wealth of governance and financial experience having been involved either at Board level, tax and accounting advisory or audit roles for numerous businesses, including charities and sporting bodies. He has served as Chairman on various State and National Committees for CPA Australia and currently serves on their Environmental, Social and Governance Centre of Excellence providing CPA Australia and its 150,000 members with advice and direction on current environmental, corporate social responsibility and corporate governance issues. Malcolm has also chaired a number of Finance, Audit & Risk Committees for various organisations. A former Australian player, he serves (in his spare time) as Vice President of Volleyball Australia, a national Olympic organisation responsible for Indoor and Beach Volleyball. Aaron Trevis is a Mining Engineer and Graduate of the Australian Institute of Company Directors. As Founder and Managing Director, Aaron is the driver of the Surf Lakes™ project. Aaron has a diverse leadership and management background, covering underground coal mining, executive search and national leadership of a large not-for-profit organisation. As a keen surfer, he has the passion to bring waves to the masses and make surfing a main-stream sport that can be enjoyed in any location. Chris Hawley has worked as an engineer and project manager across a range of industries; R&D, technology development/start-up, heavy industrial, mining, ports and infrastructure. His background includes extensive experience in detailed electrical design, as well as auditing, project and contract management. Chris works regularly with large theme parks and brings current working knowledge of practices and standards relevant to the design and operations of Surf Lakes™. Chris is also the founder of Engenuity Solutions, a specialist engineering firm based on the Gold Coast. 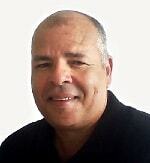 Reuben has over 20 years’ experience in the finance, investment and media industries. He founded of Wealth Creator Magazine in 2002, which he later sold in 2005. Then joined Integral Capital Group as a Corporate Advisor until 2010 where he participated in over $200m in corporate transactions. In 2008, Reuben co-founded Wholesale Investor with Steve Torso. Wholesale Investor is a financial media company that promotes private investment opportunities to it’s database of over 16,000 investors. Reuben founded Axstra Capital in 2010, which specialises in private and pre-IPO capital raisings, as well as IPO’s. Since 2010, Axstra has raised over $110m in equity for its clients. Wayne has been involved in the surfing industry since the mid-1980s. First, a judge and administrator at local, state, national and international levels, Wayne progressed to commentating at international surfing events including hosting early stage event web casts. 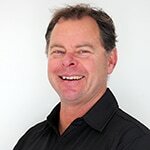 After a stint as Tracks Surfing Magazine Editor in 1997-2000 and Dep Ed of FHM Australia in 2002-2003, Wayne became Editorial Director of EMAP Action Sports which created print and digital media products for sports such as snowboarding, snow skiing, mountain biking, dirt biking, outdoor adventure and more. 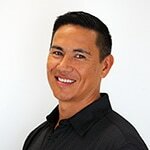 In 2005 Wayne joined ASP International (now WSL – World Surf League) to become Media Director and manager of media distribution. He left ASP in 2007 to start his own businesses including community focussed wellness centres. He is still the major shareholder of Corporate Wellness Australia Pty Ltd, a leading health program provider for large corporations globally including Qantas, NewsCorp, Allianz and more. Wayne brings enormous insight into all aspects of business from company structuring and people management, content creation and distribution, marketing and brand management, sales strategy development, event management, day to day operations, health and safety, and more. Joel has a broad in-house commercial practice covering a wide range of advisory and dispute resolution work. Joel has extensive experience acting in matters involving complex financial transactions, fraud, foreign investments, infrastructure and mining projects, contractual negotiations and intellectual property protection. Having practised in national and international commercial law firms for years, Joel has been retained by listed entities, major banks, regulators and governments, both domestic and foreign, to act on their behalf. Joel is also regularly called upon to advise clients and directors on governance issues, including their fiduciary duties and obligations under corporations law. The commerciality of Joel’s advice in this area is complemented by his formal qualifications in accounting. Joel has acted and appeared before many courts and tribunals in various jurisdictions, including state superior courts, full federal courts and international arbitrations. He has also participated in many successful commercial mediations. Tom has a combined 29 years professional engineering and 18 years management experience with several organisations including the last 23 years with Mineral Technologies. His experience includes design of process equipment, design of process and engineered plants, business relationship development, strategic project winning, project management, project directorship and project execution. Tom has a demonstrated capability of developing and managing multiple parallel project teams each comprising up to 60 people of multiple disciplines, to deliver EPC/Turnkey outcomes of scope up to USD40m within total project value of USD250m. 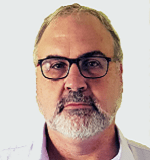 His experience includes developing Performance Guarantees for Mineral Sand, Chrome and Iron Ore projects globally and established finance options for leasing solutions for Mineral Separation Plants. Prior to Mineral Technologies Tom’s work included 10 years of experience in natural gas vehicle engines and refuelling systems and mineral separation equipment R&D, producing fully commercialised designs of new concepts. Keith is a Project Manager with over 39 years of experience in project management and leadership spanning the mining, construction, and consulting industries. Born and raised in Durban, South Africa, Keith has attended Natal Technical College, after earning an Advanced Diploma in business management, he started his career in the construction industry with Flour, where he led projects in major Petro chemical and gas plants. Keith then transitioned into the estimating and engineering consulting industry with Vanguard Construction, where he led and managed multidisciplinary teams for municipal water and wastewater treatment facilities. 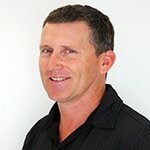 Most recently, Keith worked with Surf Lakes as Construction Manager, leading multidisciplinary projects in the construction of the Surf Lakes Prototype 1.0 He enjoys spending time with his wife, Lynette, and their grandchildren, and his favourite past-times include gardening, golf, and reading. Karolina joined Surf Lakes with the dual role of Investor Relations, and Marketing, Events, and Administrative Coordinator. A graduate of a Masters of Marketing and Management from the University of Finance and Administration in the Czech Republic, she brings both creativity and a client-centric approach to her work, coupled with a solid business, and finance acumen. Karolina has over 8 years of experience in the field of marketing, having managed all aspects of advertising and events from development to implementation.